Despite only launching Norwegian Joy from Shanghai in June 2017, the cruise line has announced Norwegian Joy will join Norwegian Bliss in Alaska. NCL publicly considered adding another homeport in China as recently as February of last year. The unexpected change has raised questions about what caused Norwegian Cruise Line to pull out of Shanghai. One recent passenger on the Norwegian Joy claimed that cheap cruise prices coupled with “gluttonous” passengers may have tipped the profit margin for Norwegian Cruise Line. According to the passenger, mealtimes often became “feeding frenzies,” with buffet patrons piling plates with mountains of food - much of which went uneaten. Despite signage encouraging passengers to “conserve food, dine with civility, and be courteous to others,” the passenger recounts “a shocking waste" following meals. Taiwan News also reports that many China-based cruise lines were forced to re-route itineraries due to rising tensions between China and South Korea. In fact, many cruise lines canceled port calls to South Korea after the deployment of THAAD missiles. Taiwan News speculates this may have played a part in the decision to move Norwegian Joy. 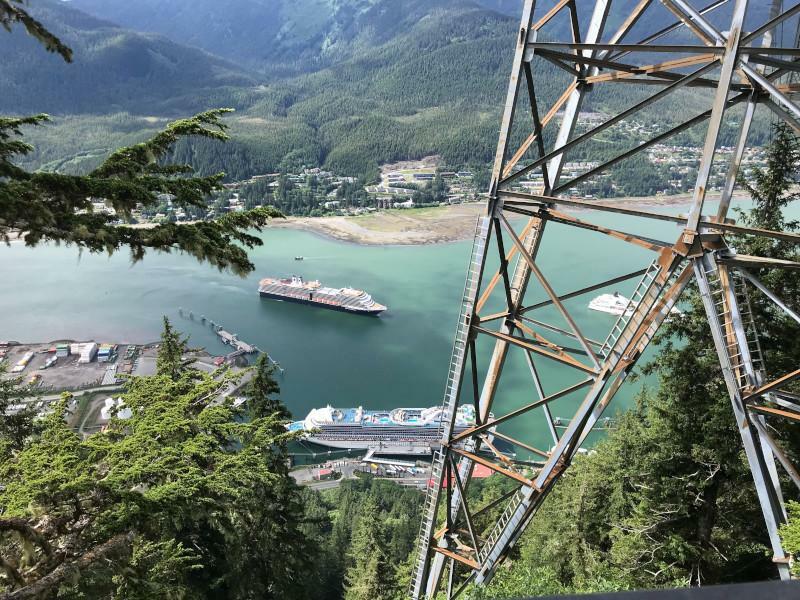 But despite rumors, NCL’s President and CEO Andy Stuart assured media and passengers alike that the business prospects are simply better in Alaska. Citing a general shift in strategy , Stuart suggested Norwegian Joy will enjoy higher profits if based in Alaska.